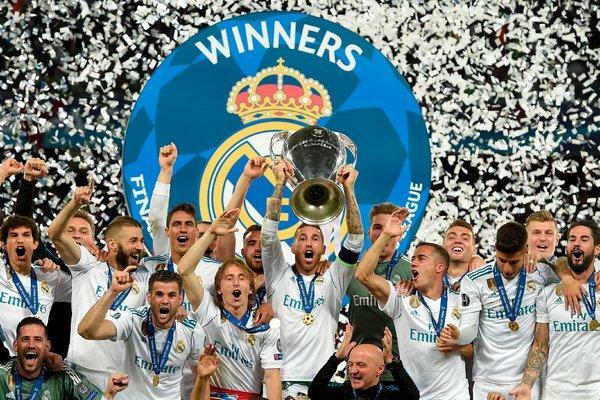 Spanish giants, Real Madrid has been crowned European Champions today as they beat English side, Liverpool FC by 3 goals to 1 to lift the UEFA Champions league trophy. Thanks to Karem Benzema goal and Gareth Bale's brace. Though people have attributed Madrid win to the blunders committed by Liverpool. Anyway, Kiev, Ukraine witnessed something different today and I must say, in years to come, this Real Madrid team will not remember the details of how it moved from mere greatness to genuine legend, of how it etched its name in history alongside the very best club teams soccer has ever produced. They will not matter. Like the Ajax of Johan Cruyff, the Bayern Munich of Franz Beckenbauer and the Real Madrid of Alfredo di Stefano, this is now a team that has won the Champions League three consecutive times. In 2016, it saw off Atlético Madrid on penalties, in 2017, Juventus, in a 4-1 romp; and now, in 2018, a 3-1 win against Liverpool. That is what counts, the victory, the trophy, the glory for a club that measures its worth in silver and in gold. They are what will remain: everything else will fade. True, the second of its three goals will be talked about for some time, whenever an argument emerges about the best goal scored in the Champions League final. Gareth Bale’s gravity-defying overhead kick merits a place alongside the volley scored by his manager, Zinedine Zidane, in the 2002 final. It was a goal worthy of a place in history. Gareth Bale's overhead-kick goal, only minutes after he entered as a substitute, restored Real Madrid's lead in the second half. The other two, though, will not feature much in Madrid’s collective memory. They will, however, haunt Liverpool and Loris Karius, its goalkeeper for some time. One mistake, in a game of this size, would have been harrowing enough; to make two, and for them to prove so decisive, may be too much for Karius to bear. The first was scarcely believable, the German goalkeeper rolling the ball on to Karim Benzema’s foot and then watching, horror-struck, as the ball trickled over the line. A few minutes later, Sadio Mané equalized for Liverpool; Karius, more than most, owed him a debt of gratitude. 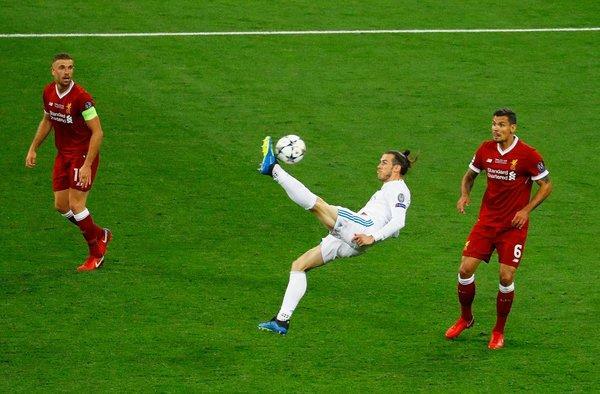 Of there was little he could do about Bale’s first strike, he might certainly have stopped the Welshman’s second, the one that finished the game, a long range effort that Karius misjudged and wafted into the goal. From that moment on, Real’s place in history was secure. Karius’s ignominy, too. At the end, he lay on the floor, face down, a picture of misery. It was two Real Madrid players, Nacho Hernandez and Marco Asensio, who went to him first, to try to offer some solace. The gesture was kind; the effect, surely, minimal. That is not the only what if that will linger with Liverpool: so, too, the question of what might have happened had Mohamed Salah, its star, not been forced off with an injury sustained in a tussle with Sergio Ramos — the latter very much doing most of the tussling — after 30 minutes. Before that, Liverpool was in the ascendancy; after, its confidence drained, Real grew in belief, its sheer confidence enough to carry it over the line, for the third time in three years, to victory, and to history.